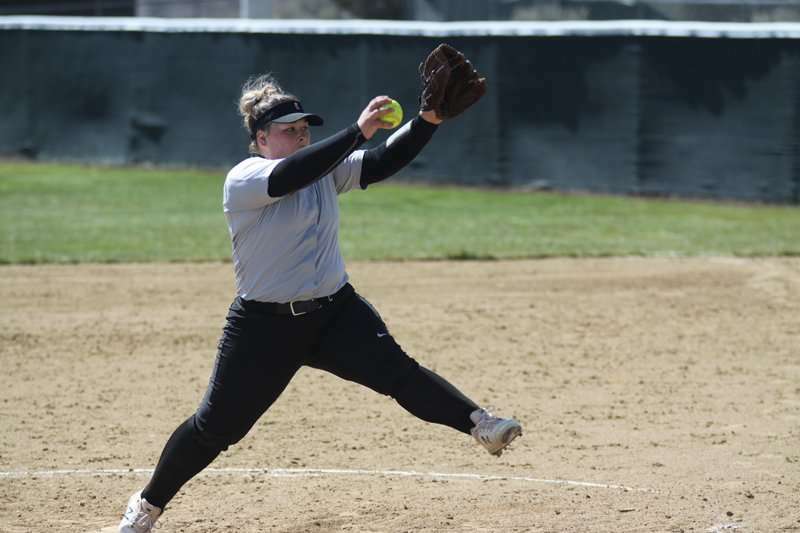 Lady Cougar McKenna Pasquinelli winds up her pitch for a strike against Butte Saturday, March 30. 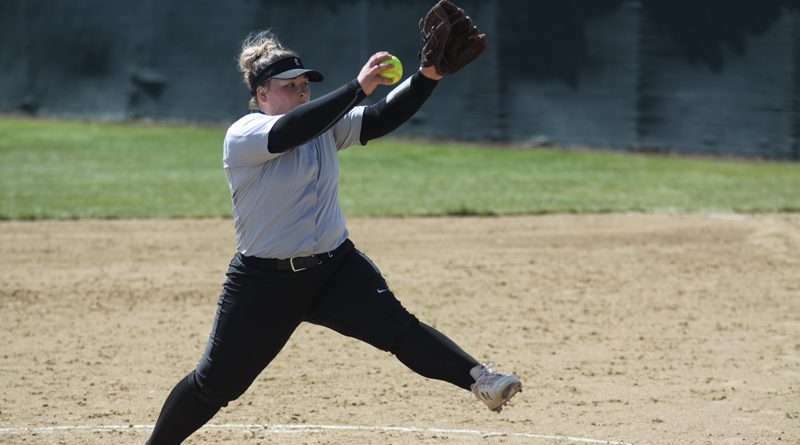 The Lassen Community College Lady Cougars Softball team ended up falling in all six of their games, against College of the Siskiyous Friday, March 29, Butte College Saturday, March 30 and Cosumnes River College Sunday, March 30. Overall, for last weekend’s set of games, the girls played hard during the first games, keeping the scores fairly close, but the second game of the doubleheaders seemed to get away from them and they couldn’t regain control. Hitting wise, the girls were much stronger and came out swinging this time, something that the girls were lacking in previous games. Starting off against College of the Siskiyous (10-1, 9-5), in the fifth inning of the second game, Nicole Fierro and Roxanne Nicholas hit back to back triples to start off an inning of hot bats and putting three runs on the board. During the Butte games, in game one, Fierro went three for three; in the second game, Fawn Robinson went three for four and Roxi Nicholas went two for three. The Cougars closed out the long weekend against Cosumnes River on Sunday, March 31, where the team played one of their best games to date but unfortunately still came up short, 9-5. Kendall Dummer went three for four and the team as a whole was putting the ball in play and making thing happen offensively. “This weekend, the team finally began to work out the kinks and put it into play,” said head coach Kim Fritts. “I have been preaching to the team throughout the season that communication was going to be a big part to our success and this weekend has been some of the best so far, and the team’s energy stayed up for the majority of the innings this weekend. However, the girls still have struggled to come out on top, and are missing the final push to get them to the winning edge. The Lady Cougars played Feather River College Wednesday, April 3; they traveled to Eureka to battle College of Redwoods on Friday, April 5 and then Weed on Saturday, April 6 to take on Siskiyous. Results were unavailable at press time but look for the results in the Tuesday, April 16 issue of the Lassen County Times.